When Googling: Try RSR's Multiple Creation Site Search! Welcome to Real Science Radio: Co-hosts Bob Enyart and Fred Williams talk about science to debunk evolution and to show the evidence for the creator God including from biology, genetics, geology, history, paleontology, archaeology, astronomy, philosophy, cosmology, math, and physics. (For example, mutations will give you bad legs long before you'd get good wings.) We get to debate Darwinists and atheists like Lawrence Krauss, AronRa, and Eugenie Scott. 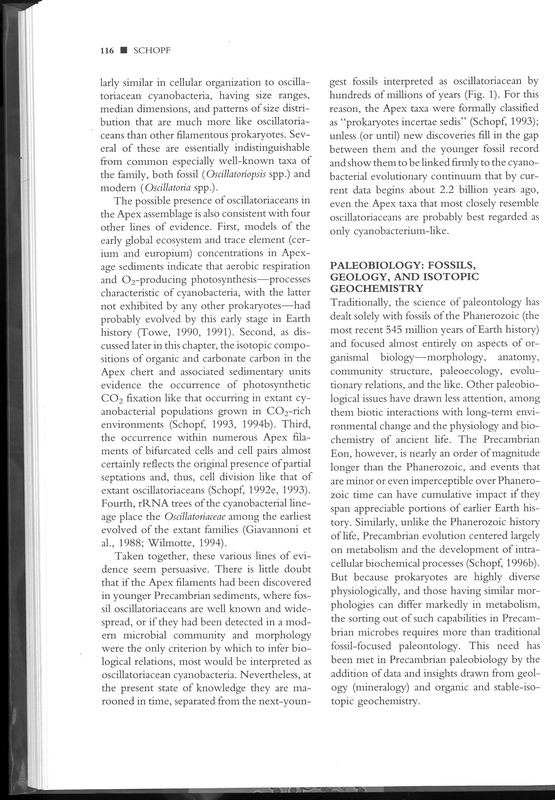 We easily take potshots from popular evolutionists like PZ Myers, Phil Plait, and Jerry Coyne. We're the home of the popular List Shows! And we interview the outstanding scientists who dare to challenge today's accepted creed that nothing created everything. Real Science Radio hosts Bob Enyart and Fred Williams re-air their classic list show for the New Years Day weekend. From opals forming in months, to man's genetic diversity in 200 generations, and with carbon 14 everywhere it's not supposed to be, scientific observations fill the guys' most traditional list challenging those who claim that the earth is millions of years old. Many of these scientific finds demand a re-evaluation of supposed billion-year ages. For the full written list, click on over to rsr.org/list. * Boulder, Colorado's Planetarium Show on Christ's Birth: For Christmas Eve, we're enjoying this Real Science Radio rerun about the University of Colorado's Fiske Planetarium presentation of a live program, The Astronomical Star of Bethlehem, by amateur astronomer Gil Buller. From the planetarium's website, "This exciting program examines the sky at the time of the birth of Christ to see which astronomical phenomenon may have been the Star of Bethlehem." * Orbital Mechanics Help Identify the Star of Bethlehem: Using computer-generated images of the night sky in ancient Israel, this planetarium program does in great style what Bob Enyart's DVD does using more modest computer simulation software. Click to get Bob's classic DVD, The Planets, Stars, and The Bible. Real Science Radio hosts Bob Enyart and Fred Williams enjoy a light, pre-Christmas program. 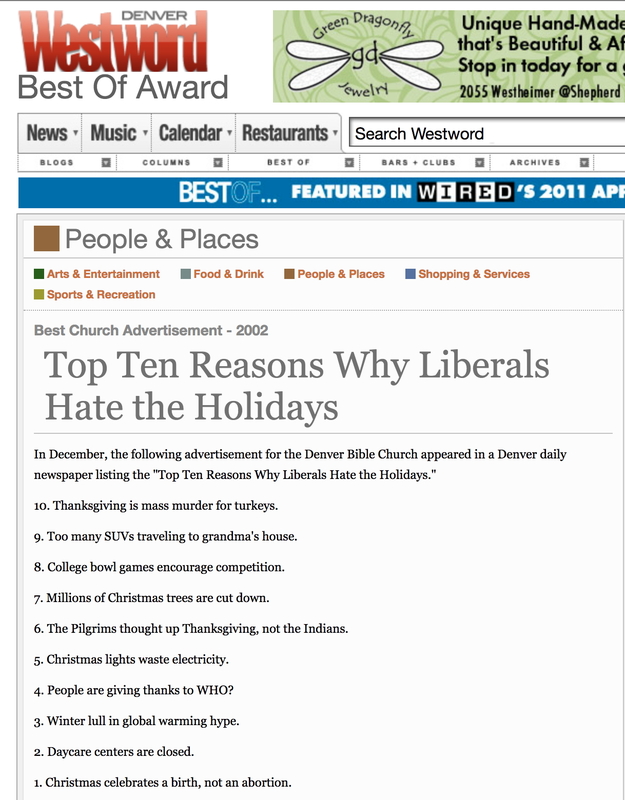 The guys present Westword's "Best Church Advertisement" award for an ad that ran in the Denver Post titled, "Top Ten Reasons Why Liberals Hate the Holidays". Fred also asked about the jury trial that Bob testified in this week and about the defendant who was convicted of harassment and violating a restraining order designed to protect the BEL crew, and the various restraining orders that BEL and RSR have obtained against a handful of, well, let's call them, overzealous listeners. Fred Williams and Bob Enyart begin by brainstorming two ideas: First, another way to illustrate Evolution's Big Squeeze, and second, the listing of theories in order of on how bad they are. - Abiogenesis violating the law of biogenesis to generate life inanimately. * The Great Debate: RSR also airs a minute of last weekend's debate at Denver Bible Church between former BEL producer Will Duffy and CARM founder Matt Slick on whether the future is settled or open. Bob asks Fred a question that Duffy asked, "Does God have the ability to design a new butterfly (say, for His creation of the new heavens and the new earth)?" Fred gives the obvious, biblical answer, Yes, whereas Matt Slick gets this wrong. Wow. The guys also discuss why it is that so many Christians are willing to trust God's decrees, but not God Himself, if He were free. And also, how it is that millions of believers bought into a theology that concludes that God has exhausted His creativity, and that He therefore cannot think a new thought, write a new song, design a new butterfly, or issue a new decree. * America Recognizes Israel's Capital City, Jerusalem: Tension over the city (named in the Bible about 750 times and in the Koran not once) illustrates the staying power of the prophecy in chapter 12 of the Book of Zechariah. Please consider this also. After an initial period of turmoil, America's recognition of Jerusalem as Israel's capital may help Palestinians, Arabs, and Muslims more than it helps the Israelis themselves. How so? Because the delusion that the state of Israel is illegitimate is fed by nations that refuse to recognize her capital. Thus those who care about the Palestinians should eagerly want to help them with this tough love so that they can go about building a future based on reality. 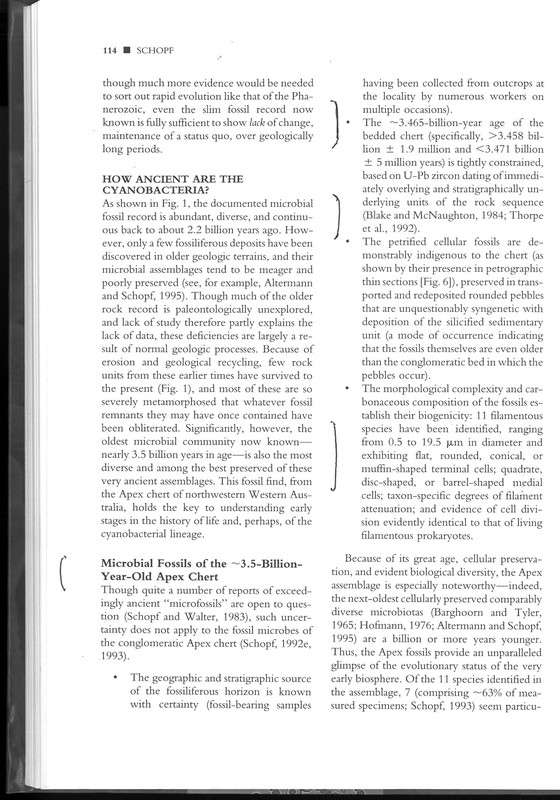 - Protein-based ancestry claims have been contradicted by fossil-based claims. Today's show is just too much! Real Science Radio hosts Bob Enyart and Fred Williams present two big new discoveries, one supporting Dr. Walt Brown's Hydroplate Theory (a WWB discovery: "Workin' for Walt Brown) and the not supporting his theory. The first is the "discovery", actually the corroboration of a phenomenon that Dr. Brown has long explained, that lightning produces radioactive elements (like Carbon 14). The second discovery, a Hawaiian named asteroid, Oumuamua, reddish, ten times longer than wide, and on a hyperbolic path such that it is not orbiting the Sun but just passing through the solar system, challenges the HPT. The only way to reconcile this peculiar object with Dr. Brown's model is, as NASA admits is a possibility, for it to have had an elliptical orbit that was changed to a hyperbolic trajectory by the influence of a large TNO (trans-Neptunian object). The guys also noted that four days after our recent segment on evolutionists constantly having to "rewrite human history", a just published journal paper led to the conclusion that we're going to have to "rewrite human history", all over again! Ha! And finally, this weekend, we're hosting the great debate, or actually, two great debates, on whether the future is settled or open. So tune in this evening at 6:30 p.m. and tomorrow at 1:00 p.m.to watch our own Will Duffy debate CARM's Matt Slick at Denver Bible Church and live streamed on YouTube! 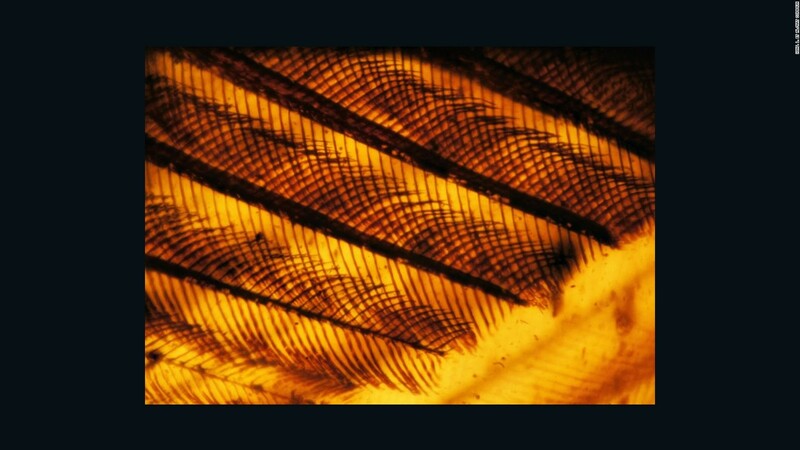 * Bird Wings in Amber: For Thanksgiving weekend, Real Science Radio reairs a program with one of our favorite researchers, "Brian Thomas: Two Bird Wings in Amber Means..." Bob Enyart interviews in studio fossil expert Brian Thomas on the two bird wings that have been found in two pieces of amber. Thomas, from the Dallas-based Institute for Creation Research, presents the various ways that these preserved specimens falsify the alleged 100-million-year age of these fossils. Brian is the world's top science author on the many, many discoveries from around the world of fresh fossils, that is, of those that contain original biological material that has survived within dinosaur bones and many other kinds of fossils. Such biological material (like bits of soft tissue still extant in Egyptian mummies) has survived for the thousands of years since so many of those creatures were destroyed in the global flood of Noah's day. * Another Item Added to RSR's Exodus List: Real Science Radio hosts Bob Enyart and Fred Williams discuss the new bullet over at rsr.org/Exodus#medical-symbol which adds to the list of everything that would have no foundation in history if the Exodus were not historical, including the Ten Commandments, the words has no Pharaoh, Goshen, and Alphabet, and the principle that even government leaders must obey the law. * Show Update -- Ha! 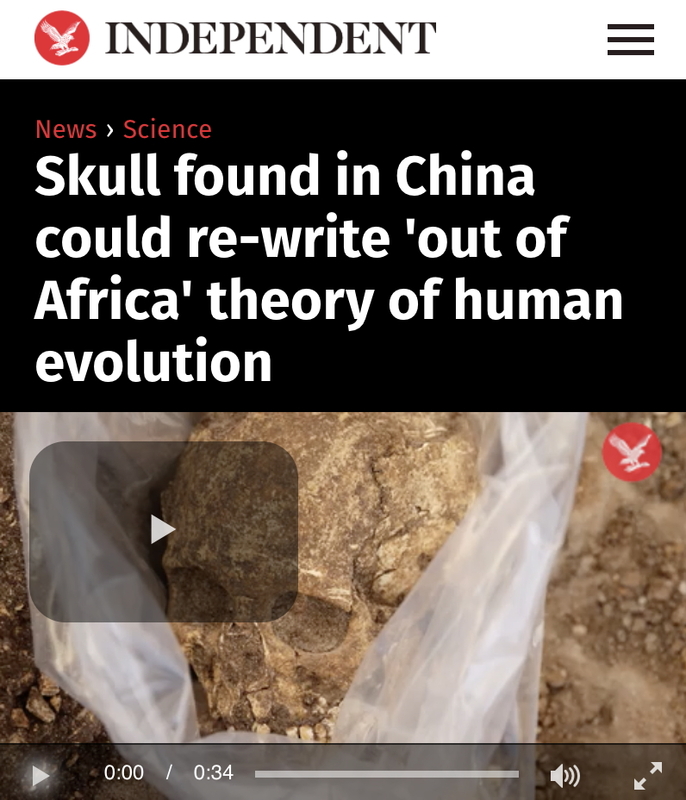 They're Rewriting Human History AGAIN: Four days after our Friday program, we learn from the Journal of Physical Anthropology as described in the UK's Independent that, "A skull found in China [40 years ago] could re-write our entire understanding of human evolution." See this also at rsr.org/squeeze. * Paradise Lost: Bob and Fred also give accolades to the film Genesis Paradise Lost. Bob especially loved the Day 3 animation of how God may have pulled the plants out of the ground! Teacher: The argument for God from functional complexity has been falsified by Darwin. Michael: Even if Darwinism were correct, there's still no explanation for functional complexity outside of biology. Teacher: There is no functional complexity outside of biology. Michael: Sure there is. The water cycle is one example. It's functional and complex. And life on Earth depends on the water cycle. Another student: Yeah, and the atmosphere is pretty complex, and that's functional too. To which RSR replies: Yeah! 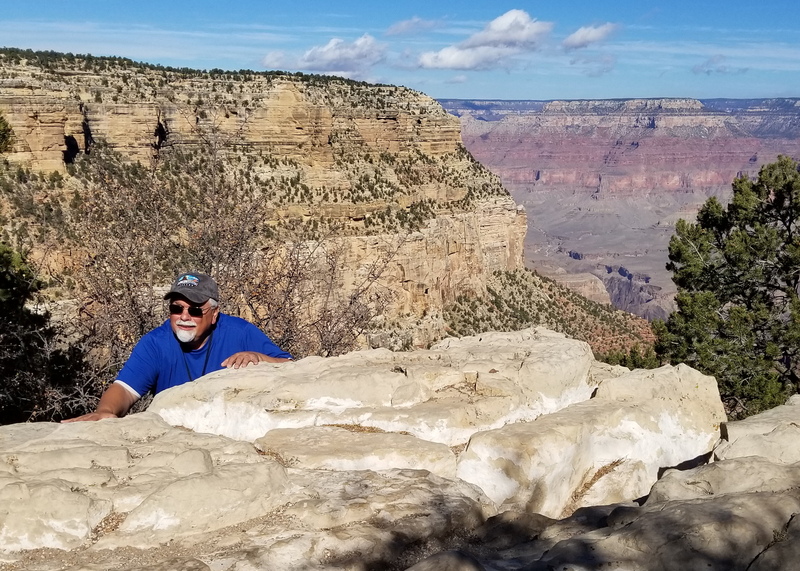 * RSR at the Grand Canyon with Walt Brown: Bob Enyart was on assignment with Dr. Walt Brown at the Grand Canyon and other geology sites in the region. 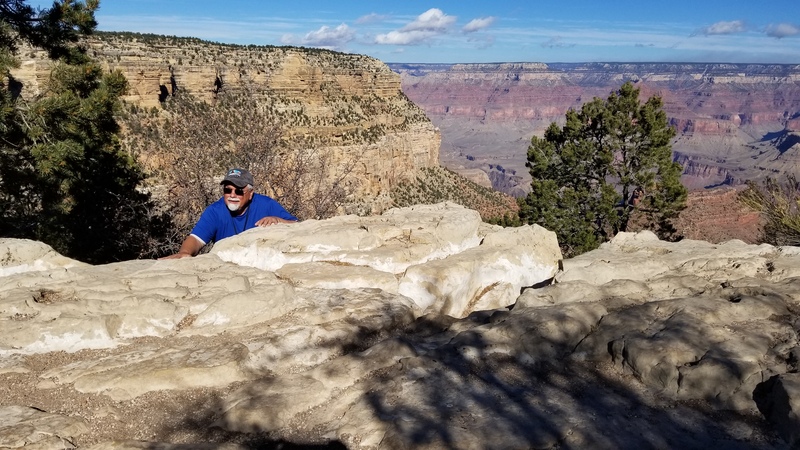 Mike Snavely, founder of Mission Imperative, hosted the trip, his annual Southwest Safari (and with his wife Carrie they also host an annual African Safari). See the group's photo, below. Real Science Radio co-host Fred Williams debriefs Bob about the participants, the sites explored, and the lessons learned. See more on the Grand Canyon formation below. - or click here to buy the book! 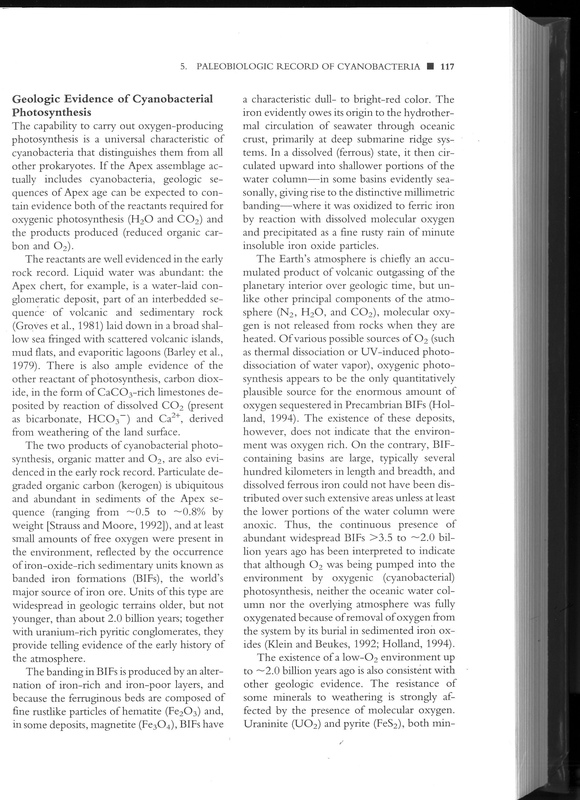 Real Science Radio gleans gems from this 2000 text. 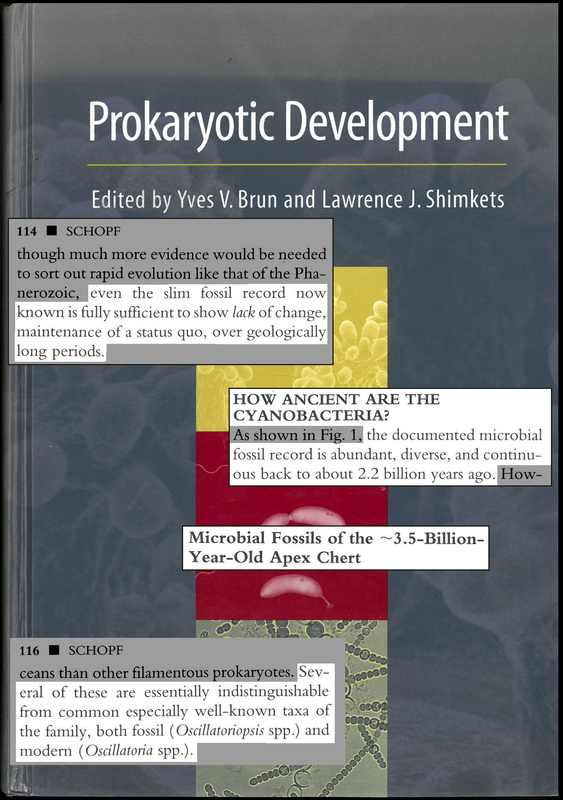 Prokaryotes were always prokaryotes. * Engraving His Own Tombstone: Like the engraver carving his own tombstone, Dr. Jerry Bergman is writing his own career obituary in the upcoming Vol. 4 of his planned 5-volume series that started with the first volume of The Slaughter of the Dissidents. 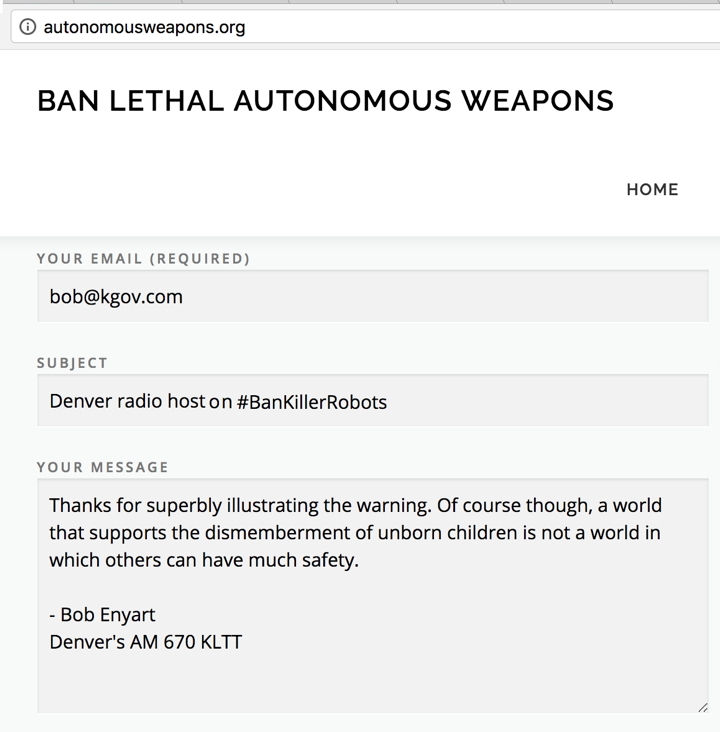 Real Science Radio's Bob Enyart interviews Dr. Bergman about his own termination after decades teaching successfully at the college and university level. Real Science Radio's Bob Enyart concludes his interview with Dr. Jerry Bergman on his latest book, How Darwinism Corrodes Morality, documenting the evolutionist's destructive effect on society regarding immorality, child killing (abortion) and the euphemistically named "sexual revolution". See also Part 1 and rsr.org/bergman.